Mission – To ensure all members of the Department of Physics are treated with Dignity, Equality and Respect. The department strives and is committed to ensuring all of its faculty, staff, Post-Doctoral, graduate and undergraduate students work and study in a professional environment free from all prohibited discrimination, protected-status harassment, sexual assault/violence, and bias activity, in particular when such actions are directed at a member or group of the Cornell community because of that individual’s or group’s actual or perceived age, color, creed, disability, ethnicity, gender, gender identity or expression, marital status, national origin, race, religion, sexual orientation, military or veteran status, or any combination of these or related factors. The Department’s Diversity and Inclusion Policies will be in strict adherence to University Policy, State and Federal Law. The department will strive to educate all of its members toward this vision. Find your community, learn where to find help, or locate official policies. Check out the many department and university Diversity and Inclusion Resources. 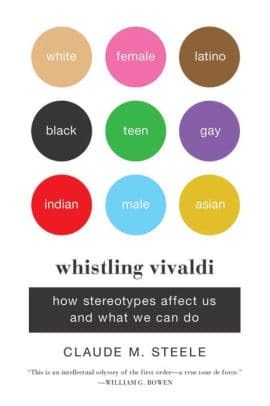 Trai ning Opportunities: Staff across the PSB complex are reading Whistling Vivali: And Other Clues to How Stereotypes Affect Us by Claude M Steele in preparation for a facilitated group discussion in September. Provost’s Task Force on Faculty Diversity: "The Provost’s Task Force to Enhance Faculty Diversity has issued its report recommending steps that could help Cornell keep its competitive edge in attracting and retaining outstanding female and underrepresented minority faculty members." Department chair Eanna Flanagan is a member of this task force. See the related story in the side bar. APS Bridge Program: The Bridge Program supports under-represented minorities in their pursuit of graduate degrees in physics. The Department, led by department manager Craig Wiggers and faculty members Erich Mueller and Michael Niemack is evaluating the possibility of bringing the APS Bridge program to Cornell.